Kat is back in this sequel to Heist Society. Kat has now gotten over her aversion to planning and executing heists and has been doing so on her own for months, much to the dismay of Hale and her other friends. When she is approached with a huge job she cannot resist taking it on, despite the fact that her Uncle Eddie has forbidden anyone in the family from going after this particular gem. Initially, Kat believes the heist went perfectly, but soon discovers a major hitch that she must rectify before it is too late. Fans of Ally Carter will love this book as much as her others. It is fun, clever, and the characters are all well-developed. There are some unresolved issues between both Kat and Nick and Kat and Hale, which is an unfortunate effect of a series that plans to go on for awhile. The story of the emerald is interesting and will engage readers. A fun and entertaining read. Katarina Bishop is the daughter of a notorious thief, but has decided to get out of the business in order to go to a prestigious boarding school. When she is kicked out of the school for a crime she did not commit, she finds out that a powerful man has decided to target her father as the culprit for some paintings of his that were stolen. If she is not able to find and return the missing paintings to him then he will hurt her father. One way or another she finds herself back in the world of heists and cons. For those who loved the Gallagher Girls books this will be another winner. The characters are fun, the plot twists and turns, and there is room for a sequel. 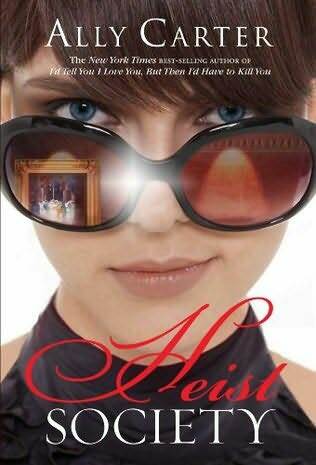 Recommended for those who enjoy heist books or are simply looking for a fun summer read.